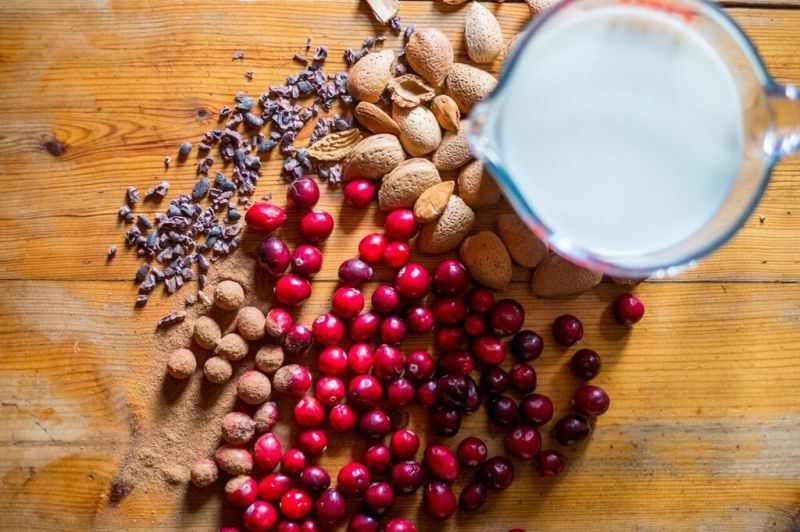 What could be better at this time of year than a taste of Christmas without the downsides. 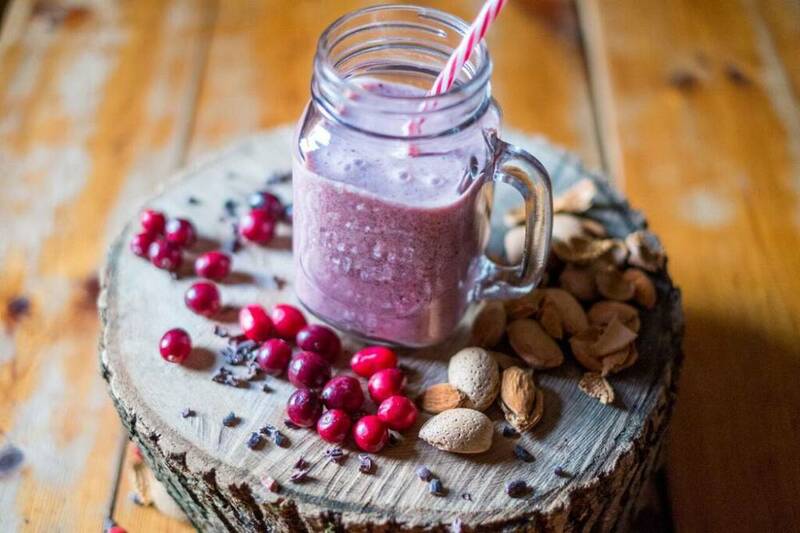 This smoothie has lots of Christmas Cheer but it is actually good for you! 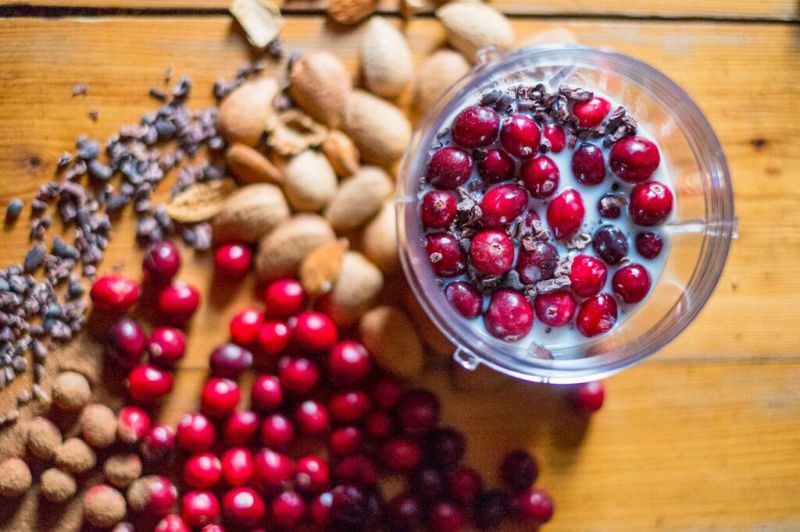 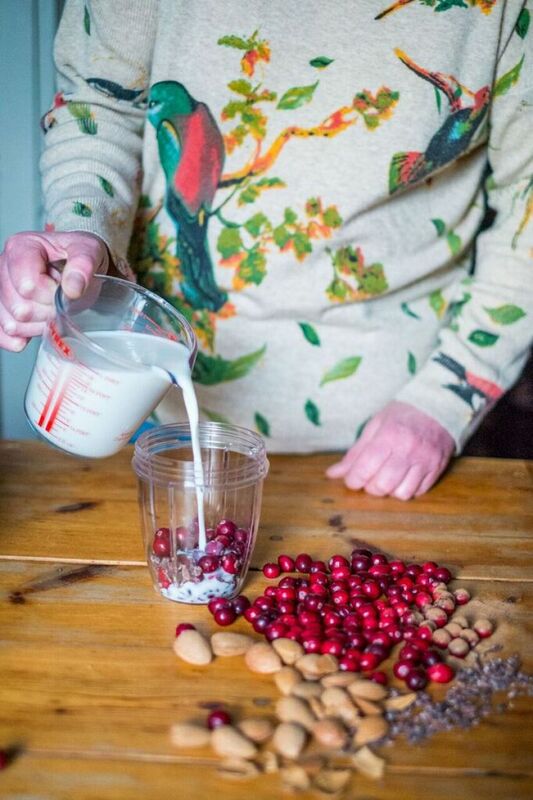 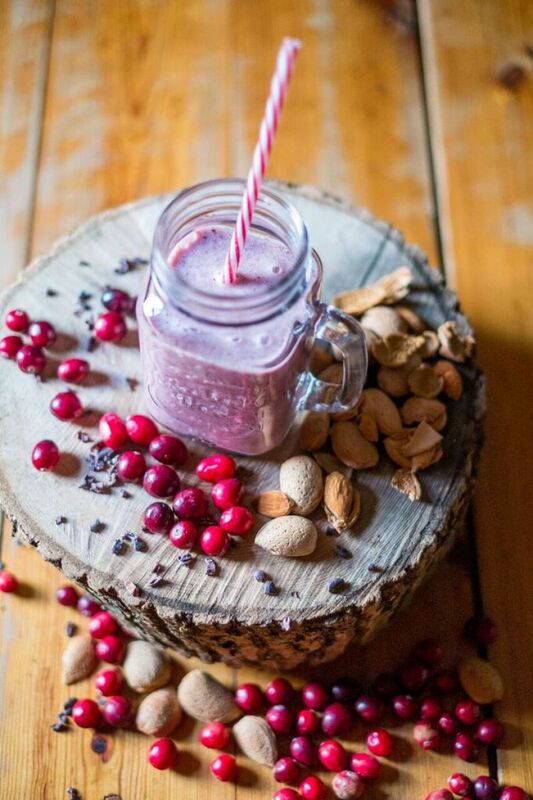 Try whizzing up this delight in a glass.. our cranberry, almond and cacao nib smoothie. 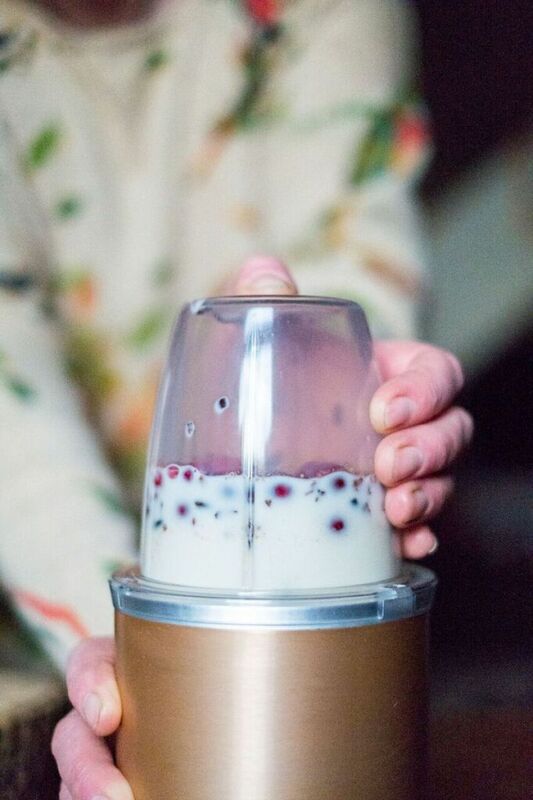 Place all of the ingredients in to a nutrient blender and whizz for around 30 seconds until smooth. 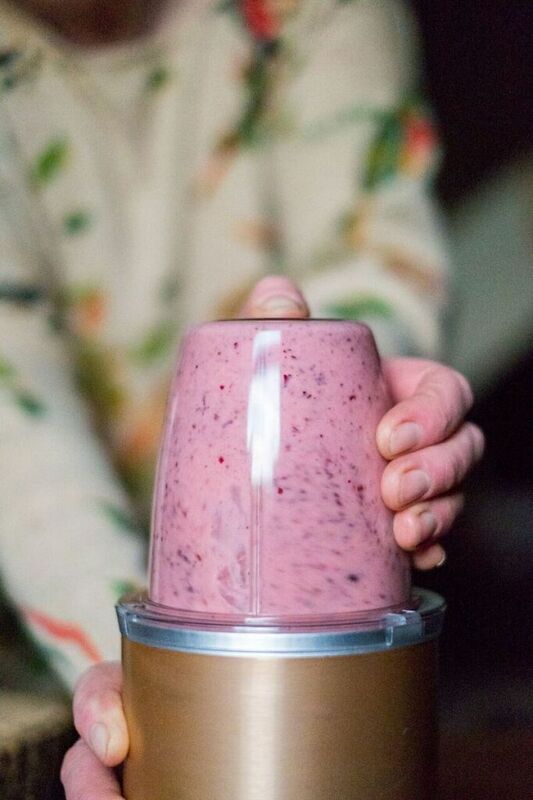 Add a spoonful of chia seeds if you like or if you want to bulk the smoothie up a little more, add banana too.